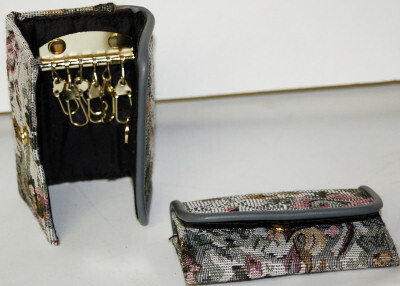 4" x 3" x .75"
Grey lining on floral print key wallet. Holds 6 keys. Perfect for house keys, work keys, and mail keys.